Rove’s Feature Farms collaboration with Neptune Valley strikes again with Golden Goat . 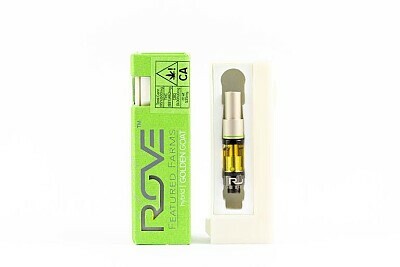 It is a highly potent Hybrid with a combination of sweet, sour, spicy, and fruity flavors. Golden goat effects can be felt from head to toe. Just like all of our Feature Farms products, Golden Goat is a single source, whole plant, CO2-extracted cannabis oil with its original full spectrum terpenes.